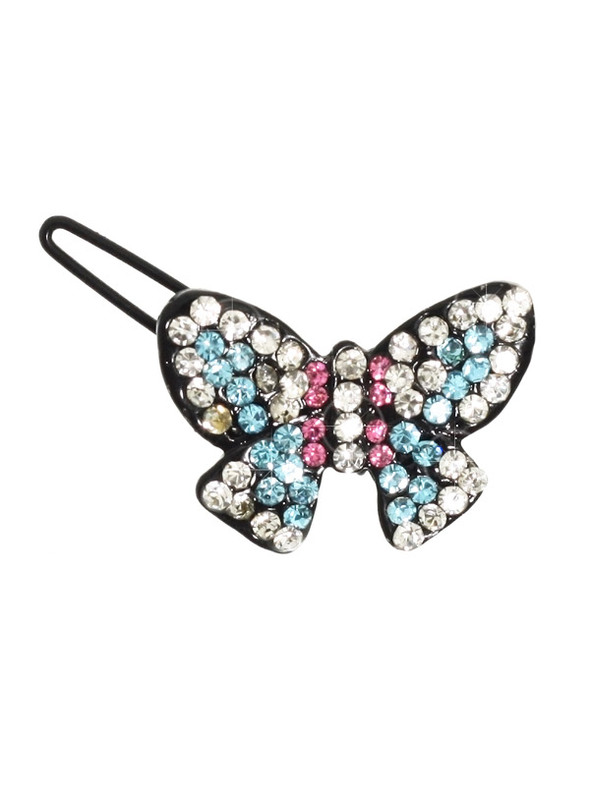 Our Butterfly hair clip is one of the more pretty designs, works well with two butterfly's on each side of the head, It is incrusted with pink, blue and clear Swarovski crystals, a total of 60 crystals in all. Measures approx. 1.25'' - 3cm wide.